“The Master of Suspense” Sir Alfred Hitchcock is by far one of the greatest, most well-known filmmakers in history. One of the latter movies in his long filmography was 1951’s Strangers on a Train. The psychological thriller is centered around two men who meet on a train, and that union eventually leads into a twisted web of murder and deceit. 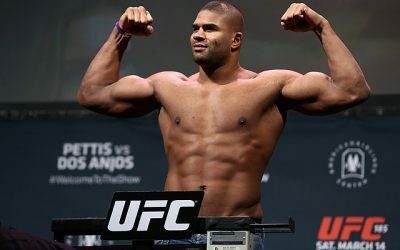 The Ultimate Fighter reality show can be likened to Hitchcock’s classic thriller. 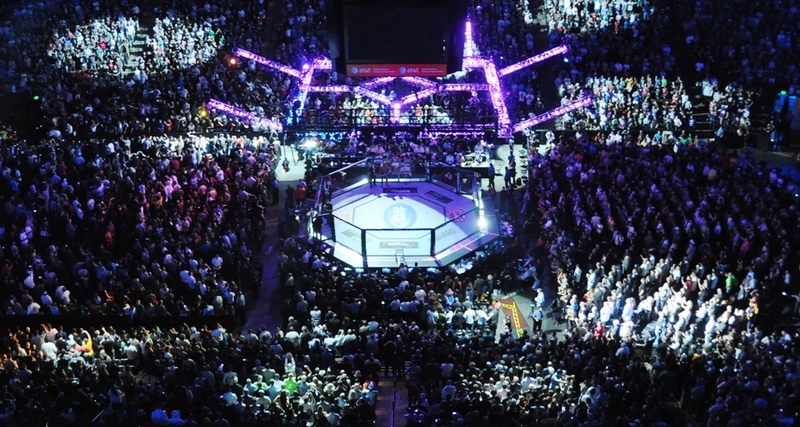 Fighters, who for the most part are strangers, meet in a house and start scheming to not only beat the opposing team’s members, but to eventually beat one another. There is drama. It’s definitely psychological, too. However, it’s really about tactical planning and training, as opposed to schemes. On season 22 of TUF, several strangers met in the house. 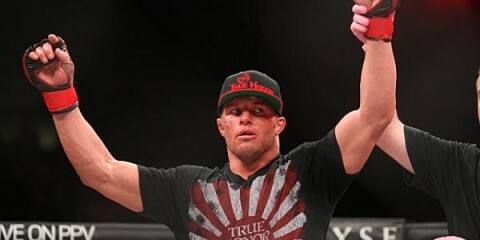 Two members of Urijah Faber’s team felt they had a lot to learn from each other. One was Ryan Hall, a Virginia native and legendary Brazilian Jiu-Jitsu black belt under Felipe Costa. He entered the house with a full stack of grappling hardware, including gold medals from some of the most important championships in the world. The other fighter was taekwondo black belt Thanh Le. 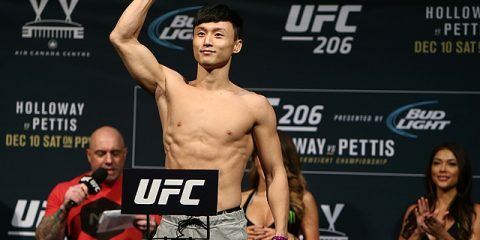 “I grew up in a martial-arts family,” Le told Combat Press. “My dad’s been teaching taekwondo since he was in Vietnam, and he grew up doing it. He moved over here, and he has his own school in Metairie, Louisiana. I’ve been doing taekwondo under him since I was a kid. My brother, myself, my dad — teaching, of course — and my mom even did it for a while. I grew up in a martial-arts household [and] a martial-arts school. I’ve always loved that. Le is a striker. Hall is a grappler. Both men work hard, and that landed them on the TUF 22 cast. Le made it into the house, but he lost his elimination fight by submission against Martin Svensson. Hall won his first two fights, but he lost in the quarterfinals to Saul Rogers in a close fight that ended in a majority decision. Hall was brought back in the finals as a replacement for Rogers and subsequently won the show. Regardless of the outcome of the season, a friendship and a business relationship was born between Le and Hall. “It wasn’t anything too crazy,” Le explained. 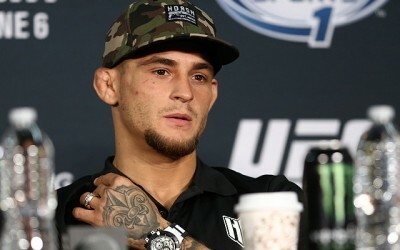 “We were on the same team, so Faber was our head coach. We were Team USA, and they were Team Europe, under [Conor] McGregor. We trained together every day for the show, and we were getting ready for our fights. They say game recognizes game, and one good martial artist recognized another good martial artist — when you see how people train, the way they approach the game, the way they think about fight week and opponents and fight camp, things like that. Le and his wife, Collying, made the move up to Hall’s 50/50 Jiu-Jitsu. Since his stint on TUF, Le has won four in a row, taking his pro record to 8-1. 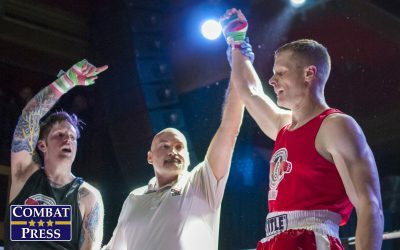 He has connected for seven knockouts and scored one submission win. 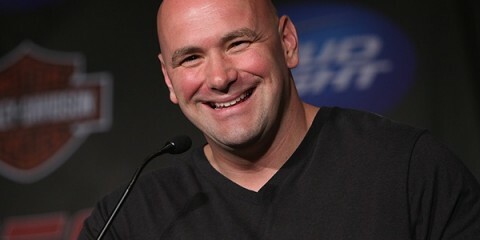 His only official loss was by submission, though, and that is also how he lost his exhibition fight on TUF. It’s probably safe to say that he was on the right train at the right time when he met Hall. Le’s last fight took place under the Legacy Fighting Alliance banner in January. 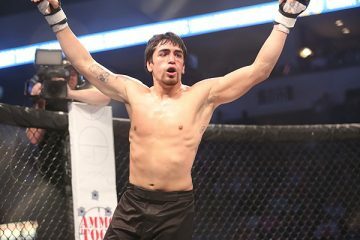 He faced Bobby Moffett at LFA 31 in a bid for the promotion’s interim featherweight title. 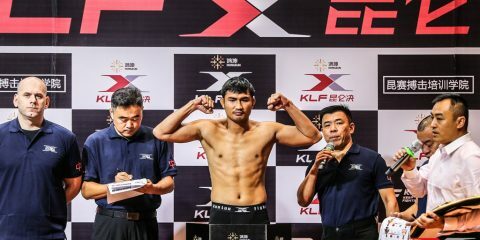 With champ Kevin Aguilar out due to a hand injury, Le settled in and was able to win by knockout less than a minute into the second round. 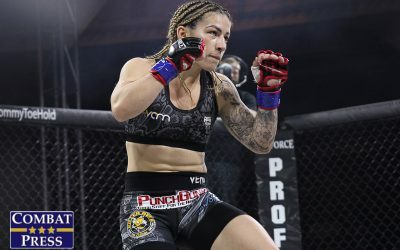 The victory set the stage for a title-unification fight this weekend at LFA 40, which takes place at The Bomb Factory in Dallas. 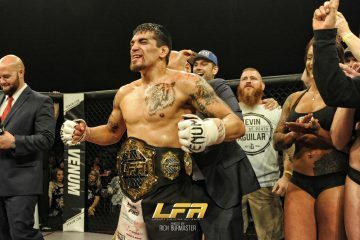 Aguilar, who has been on the bench since August, has been the LFA featherweight titleholder since July 2016, when he won the belt as a member of the Legacy Fighting Championship, before that organization merged with the Resurrection Fighting Alliance to form the LFA. 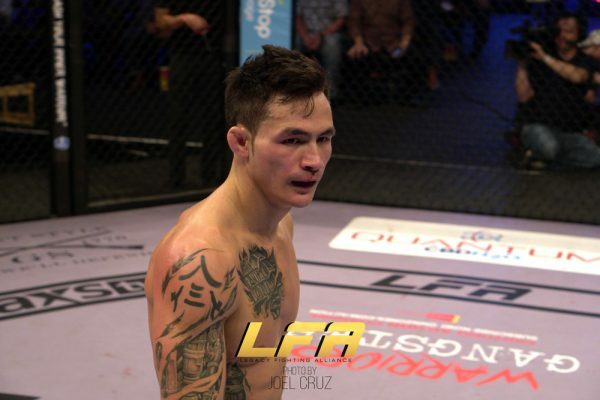 He has defended the title twice under the LFA, but Le is ready to end his run. “Aguilar’s a tough dude, man, and his fights are great to watch,” Le said. “He’ll definitely stand, strike, move around the cage, try to establish his cage, and take the center to start to work his strikes. He likes to mix in kicks a little bit. He’s definitely confident in his hands and his power. 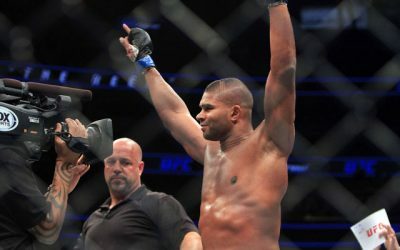 While Le’s performance on TUF 22 was not what he wanted to show the UFC, he certainly never took his sights off the Octagon. In fact, it’s easy to wonder why he isn’t there now, considering he has finished every professional win before the midpoint of the fight. Le knows the road is long, but also that it’s important to have fun and take advantage of the opportunities life throws his way. His wife is a nurse. He has a son from a previous marriage in Nebraska, too. Not only is it easy to be mobile, but he’s used to traveling around. The move to Virginia was an easy choice. He is lucky to have met the right stranger on the right train, so he can keep mastering his craft in preparation for a shot at the big show. 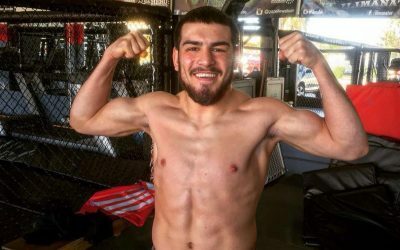 The road thus far has led him to LFA 40, and a win over Aguilar could very well be the win he needs to move up. “It’s been a fun road,” Le said. “You hear a lot of people talk about their fight career being a long, hard road. There’s been a lot of sacrifices and it’s been a long road, of course, but it’s been fun, man. I love martial arts. I’ve been doing that my whole life. 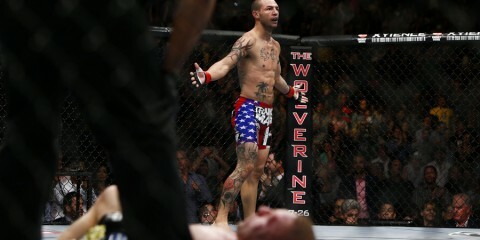 I decided to start fighting, I started winning some amateur fights, and I decided we could make this a good career, you know? I thought I could take it places, I thought I was dedicated enough, and I had the work ethic and talents to bring it somewhere.